You'll be £12.99 closer to your next £10.00 credit when you purchase Death, Disease & Dissection. What's this? Imagine performing surgery on a patient without anaesthetic, administering medicine that could kill or cure. Welcome to the world of the surgeon-apothecary... During the eighteenth and nineteenth centuries significant changes occurred in medicine. New treatments were developed and medical training improved. Yet, with doctors' fees out of the reach of ordinary people, most relied on the advice of their local apothecary, among them, the poet John Keats, who worked at Guys Hospital in London. These men were the general practitioners of their time, making up pills and potions for everything from toothache to childbirth. Death, Disease and Dissection examines the vital role these men played their training, the role they played within their communities, the treatments they offered, both quack and reputable against the shocking sights and sounds in hospitals and operating theatres of the time. 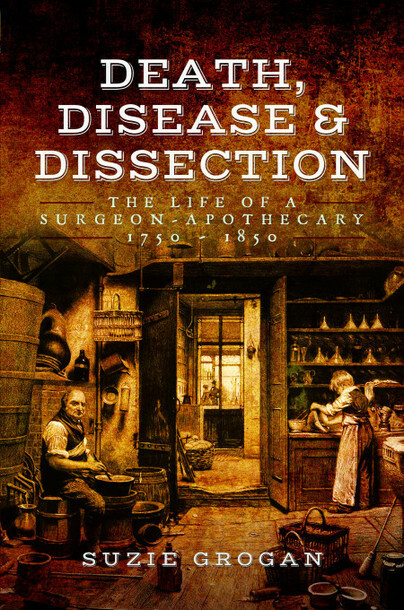 Suzie Grogan transports readers through 100 years of medical history, exploring the impact of illness and death and bringing the experiences of the surgeon apothecary vividly to life. Grogan talks about the use of charitable voluntary hospitals for the treatment of the poor homeless, rather than the wealthy, DIY apothecary pills and medicines, human dissection to advance the medical field, the true conditions behind pre-Victorian conditions (like perpetual fever), and the varied expectations of doctors, barbers, surgeons, and pharmacists with steadying, rhythmic narration, which is not what I was expecting from a book with this content and cover. The appendix of the book is particularly interesting. As someone not well-versed in medical terminology, the appendix which detailed the most common ailments was a very enjoyable read. ...This well-researched book explores the development of the profession, the medical training undertaken by students, and surgeons' links with the 'resurrection men' who supplied corpses for dissection. Especially interesting are the case studies of little-known surgeon apothecaries who tirelessly served their communities and had a huge impact on medicine. 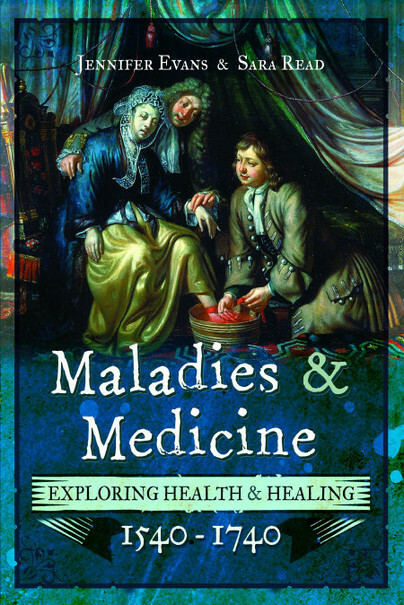 Even if you think the subject is not your 'thing', there is bound to be something here that interests you; it is a fascinating (and well-illustrated) study of health and medical history covering the century from 1750 to 1850.